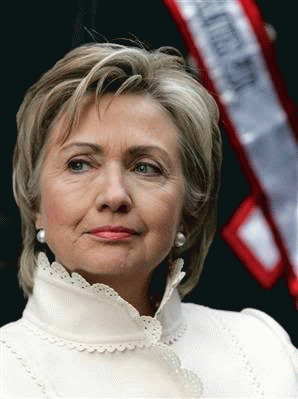 Does Hillary's Silence on Iran Deal Show Neocon Pull on Her Presidential Run? People have noticed the silence of former Secretary of State and widely presumed 2016 Democratic presidential nominee Hillary Clinton on the Iran nuclear deal negotiated by President Obama and Secretary of State Kerry. Where does she stand? How long can she dodge? And how long can former President Bill Clinton dodge? It's not like the Clintons have gone into seclusion on public affairs in general or U.S. foreign policy in particular. The Hill reports that Hillary is urging Congress not to cut U.S. aid to the Afghan government as U.S. forces withdraw from Afghanistan. In early September, Hillary issued a statement supporting President Obama's effort to seek authorization from Congress for bombing Syria. Then she welcomed Russia's proposal that Syria place its chemical weapons under international control. Neither has Bill been shy about sharing his opinions on public affairs. Just a few weeks ago, Bill told an interviewer that President Obama should "honor the commitment the federal government made" and let people keep insurance policies they have, even if those policies don't meet the coverage standards of the Affordable Care Act. And, notoriously, when the Bush Administration was campaigning for the war in Iraq, Bill Clinton backed the Bush Administration to the hilt. Hillary surrogates have tried to defend Hillary's silence on the Iran deal, but if you back the deal and the underlying shift in U.S. foreign policy from war to diplomacy, their arguments are more cause for concern than for reassurance. The Politico reports that "in the minds of Clinton allies, it should be clear where she stands: She backs the diplomatic efforts...but that she's also not jumping in to declare the job is finished." This is a strawman: no-one is "declaring that the job is finished," and no-one is being asked to. The deal is an interim deal which is supposed to pave the way for a larger deal, and it's obvious that the most vocal critics of a deal are opposed to any plausible deal at all. If Hillary backs the diplomatic efforts, why not clearly say so? She wasn't content with "it should be clear where she stands" when it came to Syria. Why would she be content with it with respect to Iran? Politico tells us that "Clinton continues to have lingering concerns about a nation that has not made good in the past doing so this time around." What does this really mean? The Obama Administration has said that it will closely monitor Iran's compliance with the interim deal, and that if Iran doesn't comply with the deal, sanctions on Iran will be increased. Is Hillary saying that she doesn't trust the Obama Administration to closely monitor Iran's compliance, or that she doesn't trust the Obama Administration to follow through with increased sanctions if Iran's doesn't comply? If she is not saying those things, what exactly is she saying? Politico also tells us that "[Hillary] also worries about the fact that the deal doesn't address Iran's support of terrorism, a fact that critics of the accord have made note of, and Tehran's involvement in supporting the regime of Bashir Assad in Syria." As Hillary knows full well, this is a silly argument. The multilateral talks with Iran which produced the interim deal never had anything to do with Syria or terrorism, but were focused on Iran's nuclear program, which the people now criticizing the deal claimed was a tremendous, urgent threat to the U.S. and its allies. How is it a meaningful criticism of the deal to say that the deal didn't address something that the diplomacy that produced it was never intended to address? "Whatever she says publicly could also upset some of her harder-line supporters, who believe the agreement is bad for Israel." Mideast scholar Aaron David Miller says that Hillary weighing in would likely mean being "somewhat critical of the administration's approach." This begs the question: why should it assumed that Hillary would be "somewhat critical of the administration's approach"? Only if you take as given that the constituency she is really concerned about is "her harder-line supporters, who believe the agreement is bad for Israel," not the majority of Americans who elected Barack Obama president on a platform of engaging in diplomacy with Iran. What's so troubling about Hillary's silence is that it suggests that "her harder-line supporters" want to re-fight the battle over U.S. foreign policy that they lost when Barack Obama, not Hillary Clinton, won the Democratic nomination in 2008, and see her potential victory in the 2016 Democratic presidential primary as the restoration of their dominion over Democratic Middle East policy, the second coming of Joe Lieberman. When President Obama abandoned his plan to bomb Syria, opting instead for a diplomatic agreement with Russia to destroy Syria's chemical weapons, it exposed the fact that the proposed U.S. bombing of Syria had been supported by two distinct groups of people. One group was genuinely concerned with the Syrian threat to the chemical weapons control regime. The other group wanted the U.S. to bomb Syria to try to change the balance of forces in Syria's civil war as part of a proxy struggle with Iran, and considered the chemical weapons issue a convenient excuse for direct U.S. military intervention. The people who were genuinely concerned with protecting the chemical weapons control regime were totally delighted with the diplomatic agreement to destroy Syria's chemical weapons. The people who saw the chemical weapons issue as a convenient excuse to intervene militarily in Syria's civil war as part of a proxy struggle with Iran -- the Israeli and Saudi governments, Lindsey Graham, the American Israel Public Affairs Committee -- were totally furious with the diplomatic agreement. We have a similar dynamic now. The arms control people are totally delighted with the Iran nuclear deal. The people who are furious don't really care that much about Iran's nuclear program per se. They see it as a convenient excuse in their long game to try to engineer a military confrontation between the U.S. and Iran. By securing an interim deal to control Iran's nuclear program that will likely lead to a more comprehensive deal, President Obama and Secretary of State Kerry are threatening to remove the warmongers' casus belli from the chessboard. This is why Hillary's "harder-line supporters" are schvitzing. Their fear is not that diplomacy with Iran will fail; their fear is that diplomacy with Iran will succeed. That's why it's so important to smoke out Hillary on the Iran nuclear deal. The underlying question is: in which direction does Hillary want to lead America? If she runs for President, to whom will she answer: the majority of Americans who want peace, or her "harder-line supporters" who want more war? You can urge Hillary to back the Iran nuclear deal here. Kucinich to Introduce Gaza Ceasefire Resolution - Who Will Co-sponsor?